Mark Cavendish is the best road race sprinter ever. That’s not us saying it, not a magazine based in the UK, it’s the French sports newspaper L’Equipe, who in 2012 declared that Mark Cavendish is the best-ever Tour de France sprinter. It’s also statistics, Mark Cavendish has won 26 Tour de France stages. He’s third in the all-time winners list behind Eddy Merckx, with 34, and Bernard Hinault, 28. The nearest sprinter to Cavendish, Frenchman Andre Darrigade, is fifth in with 22. And the numbers go on. Cavendish has won 44 Grand Tour stages in total, putting him fourth in the all-time standings behind Eddy Merckx, Mario Cipollini and Alessandro Petacchi. Cipollini is probably Cav’s nearest rival for the ‘best-ever sprinter’ accolade. But his biggest stage total is in the Giro d’Italia, whereas Cavendish’s is in the Tour de France, the biggest bike race in the world, where everything is magnified and it’s always harder to win. But what clinched the vote from L’Equipe is Cav’s unique four consecutive victories in the final stage of the Tour de France, a race that has become the unofficial world championships for sprinters. Cipollini never made it to the cobbles of the Champs Elysees once in his career. 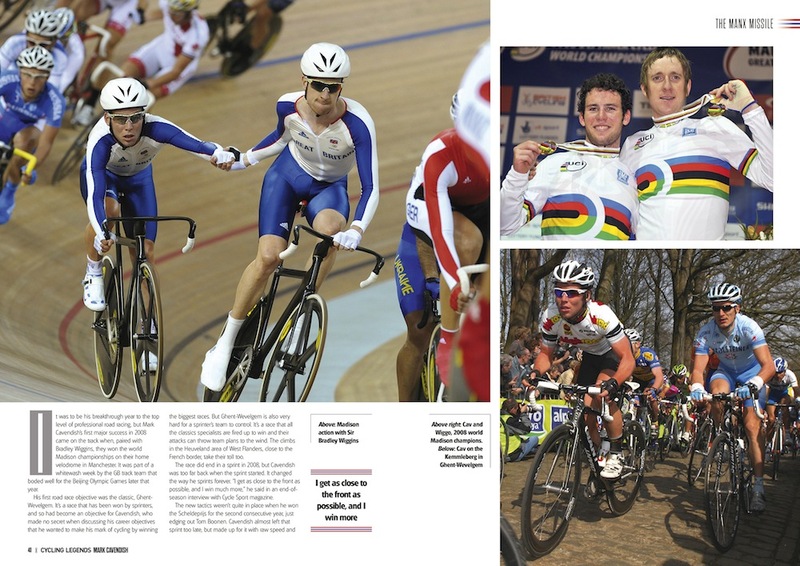 So he certainly never won the green jersey, which Cav did in 2011. And Cavendish’s success doesn’t begin and end with the Tour de France. So far he is the only British rider other than Tom Simpson to win a monument of the sport, Milan-San Remo in 2009. Then in 2011 he became the first Brit to emulate Simpson’s 1965 world road race title. And Cavendish has won more top professional races than any other British rider in history, by a long way. He’s also one of an elite group of international riders who have won the points jersey in every Grand Tour. 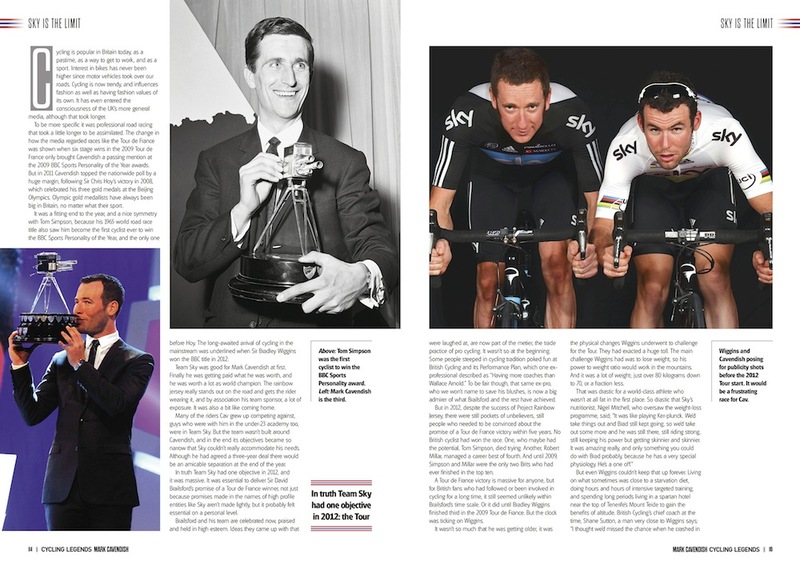 These achievements, and many more, are celebrated in the latest of our Cycling Legends bookazine series. 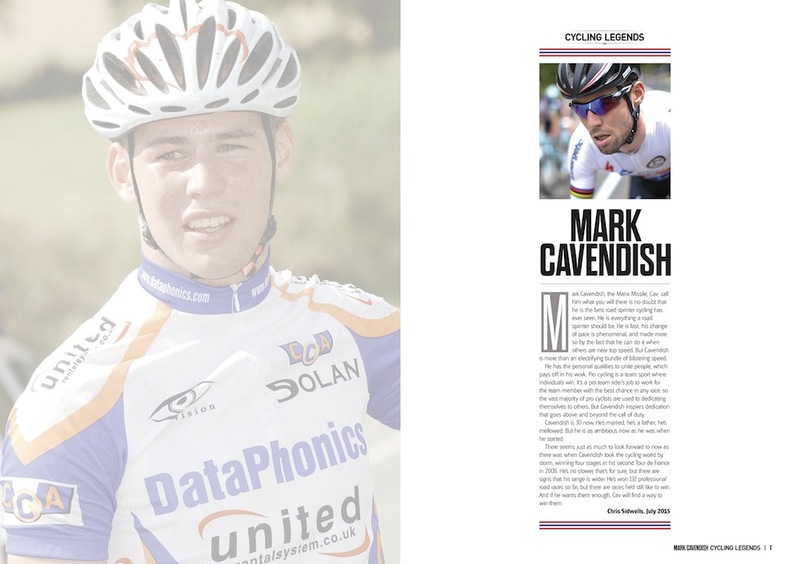 Simply called Mark Cavendish, it records his rise from schoolboy prodigy to the king of sprints, using interviews and eyewitness accounts from Cavendish and many of his rivals, teammates, managers and coaches, who all played a part in his story. It seeks to explain his speed. It examines the tactics of sprinting in modern professional cycling, and it looks at the demands, dangers and delights of the gladiatorial contest that is a Grand Tour bunch sprint. 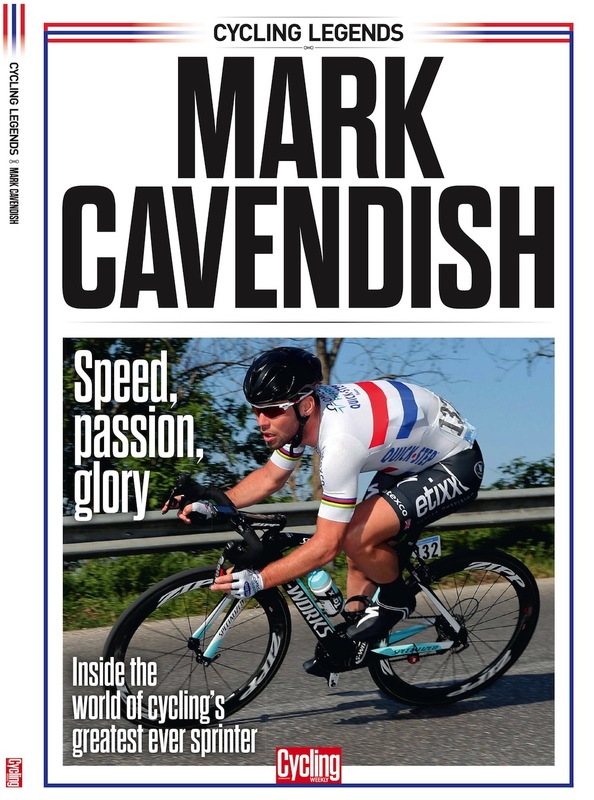 Most of all it seeks to answer the question of why Mark Cavendish is the best there has ever been at what he does.